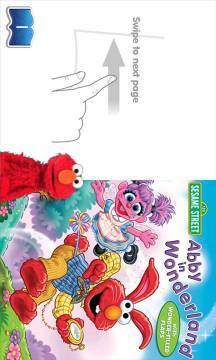 What it is: an interactive story about Abby - a little fairy-in-training from Sesame Street who entered Wonderland. What you do with it: listen to the story (or read it by yourself, with the narrator turned off). Swipe to turn the page. Touch the text to zoom it. 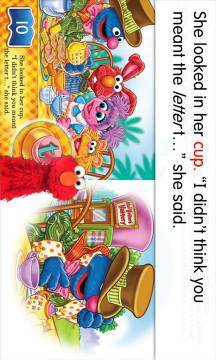 Tap on Elmo on every page to hear what he says (he asks questions related to the story, comments or just laughes/dances). What we liked: the illustrations, high quality narration, nice engaging story and funny likeable characters, tips for parents (how to enhance the experience with the story). The text is highlighted while reading. You can easily access any page of the book from the menu. After quitting the app will start from the page which you ended up with. Elmo's laugh! (it's very catching). What we didn't like: only a few interactive elements (with Elmo), no animations. 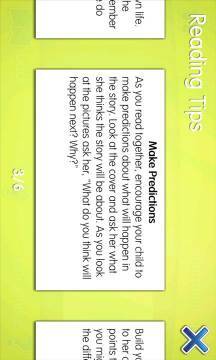 You can't repeat particular words in the text (which will add more educational value). General notes about our book reviews: although when reviewing books, we try not to review the story itself, the general impressions will be reflected in the Overall Score. 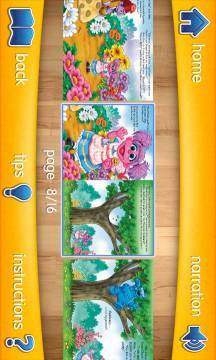 The Age Range assigned to books will be usually broader compared to other apps, as they can be useful for both younger (with parent/narrator reading) or older (reading on their own) kids.